Joey Barton Saga – Move. Run. Sports. I really don’t want this blog post to sound like I am bitter about Joey leaving, as I’m not. He thought he was bigger than the club and no player is bigger than a football club. I used to love him and supported him during his time at Newcastle. Had his name on the back of my shirt last season as well. I thought he was a top class player and really did have a brilliant season. But I cannot deny that my love for him begun to fade with his tweets. I thought he just seemed to be creating trouble and making people more angry with his comments. Things were bad enough without more being said to create tension and drama. I have just seen a tweet from him saying: “I will always have a special relationship with the Geordie nation but sadly they are not the decision makers at St James’ Park.” – This is fair enough, but I really do hope that he remembers what the club done for him with the whole time in prison and sticking by him. He really did win us fans over with his performances on the pitch, but I think he has wrecked some of that recently. I enjoyed watching him play last season and would like to thank him for the effort he put into it, showing what a good footballer he really is. But with that the way he has gone about things and the manner of him leaving might just have destroyed that. It is all made worse when a player keeps going on about not wanting to leave, when we all know that it is only a matter of time before it happens. Surely saying nothing would be the best option. He is no longer a Newcastle United player and I really do hope that he does not talk about the club and things that have went on now. I hope it just leaves it all well alone, for our sake . . . the fans. We don’t deserve more people stirring things up about the club. We just want to really get the season going and enjoy watching and supporting our team – something we will always do no matter which players come and go. I just hope he remembers the fantastic support we gave him over the years with his off the pitch troubles. I think we should remember his impact in the famous 4-4 draw at St James Park against Arsenal and stepping up to take two penalties in that game. Being on the players to help in the greatest Premier League comeback of all time! 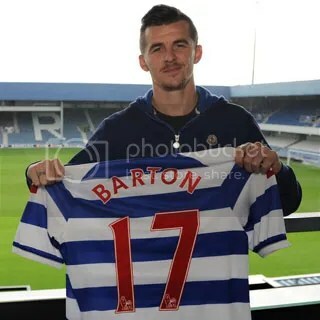 Good luck and goodbye Joey Barton!